Put all the ingredients in the food processor or blender. Pulse to combine for 30 seconds or until all the ingredients are finely chopped and salsa is desired consistency. Taste for seasoning and adjust to taste. 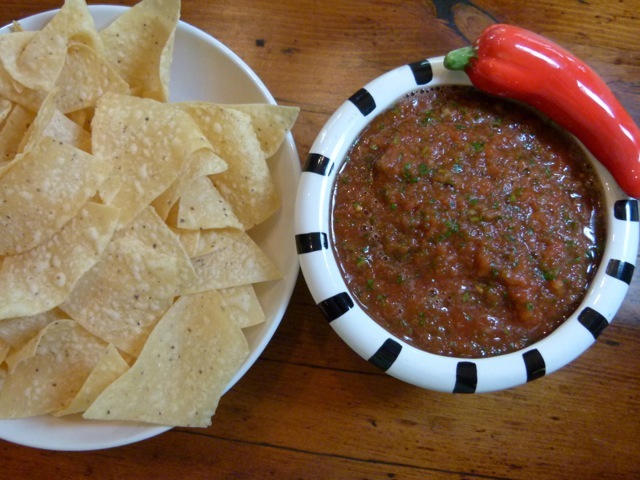 Serve with chips or favorite dishes.This salsa gets better when it can sit in the refrigerator overnight or even a day or two. It gets better with age.